The Network hosts family outings and educational workshops throughout the year. Network 21 is affiliated with both the National Down Syndrome Society and the National Down Syndrome Congress. 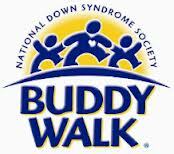 These relationships allow us to promote Down syndrome awareness, coordinate fund raising efforts and plan educational programs, on a national level. Visit both the NDSS website and the NDSC website today to learn more about the purpose and mission of these organizations. Receive the NDSC monthly electronic news letter. Subscribe Here. You can read archived issues of the monthly Down Syndrome E-News and Governmental Affairs Newsline at this link. Network 21 is an official affiliate of the ARC of Middlesex County. This wonderful and fun event is held every October- check with us for this years details or click below!